It looks like fairy land. A walk on the beach, waves awash the trail of footprints… Sand as new as a blank canvas as if inviting you to bring out the artist in you, to play with it, or write an untold message. Some scribble their names, some unsaid names and some hidden dreams. The little child inside every soul wishes to fiddle with his imagination on the sand in the wide open space all around, to build castles and little sculptures. One of the beaches in India where the creative freedom mixes with exhibition of ideas and thoughts is at Konark. A beautiful beach named Chandrabhaga in Konark, near Puri in Odisha, is a land of creativity. People from all across the world come here and express their ideas and thoughts with beautiful sand sculptures. 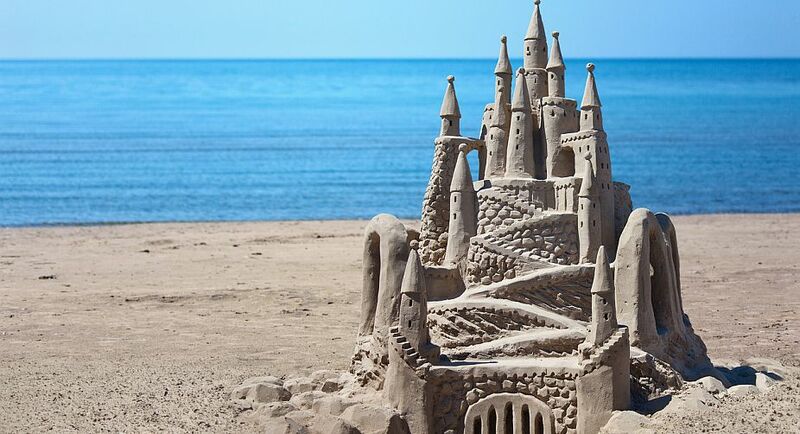 Every year, the place hosts International Sand Art Festival where the best artists are awarded with special prizes. This festival is one of the best places to see the most amazing sand arts which undoubtedly leave one awestruck. Heart-touching messages compliment the sculptures, and the ambience of the place is full of love and harmony. People, who speak different languages, speak the language of art to convey their feelings. This festival is an appropriate example of unity in diversity. Messages like world peace, stop global warming, unity and harmony and many more are not only seen as sand art but also remain in the hearts of people. The amalgam of various cultures and mythology makes it one of a kind. Like they say earth without art is just eh! So never go out of touch with creativity and art. Be a part of this festival this time to treat your eyes and heart. The festival begins from December 1, 2016 and will continue till December 5, 2016. A visit to the Sun Temple in Puri and International Sand Art Festival should be in your bucket list when you travel to Odisha.